The merger was expected to be finalized in late 2014, but Time Warner Cable and Comcast continue to sort our legal issues with the FCC. Founded in 1980 (formally known as Rainbow Media Holdings LLC), AMC Networks Inc.  is an American Entertainment company currently standing as the one of the leading cable television broadcasters in the United States. AMC Networks owns and operates various popular channels within the cable television realm: AMC, The Independent Film Channel (IFC), Sundance TV, Women’s Entertainment TV (WE tv), and IFC Films . The company also acquired Chellomedia in 2013 and through a joint venture with BBC Worldwide, now operates BBC America as well . With an impressive programming portfolio, the cable network has aired many critical and popular series such as “Breaking Bad”, “Walking Dead”, and “Mad Men”, reaching more than 95 million households across the country . AMC Networks Inc. is a publicly traded company with a stock price of $77.27 as of April 16th 2015 . In its fourth quarter reports of 2014, AMC Networks exceeded expert estimates with the reported $1.15 earnings per share, vastly beating the prediction of $0.99 . Its fourth quarter also showed promising numbers as the company’s revenue increased 40% to $609.44 million , and also revealed a 24.3% jump in advertising revenues  to $255 million . The company continues to expect the advertising sector to be the “growth driver” of the year. AMC Networks’ First Quarter 2015 report will be released May 4th . It has been a fruitful and successful season for AMC Networks. With its strategic acquisition of Chellomedia and partnership with BBC Worldwide, AMC Networks has greatly boosted its international revenue by 516% to $110.3 million , helping the company exceed estimated Q4 earnings. The company also seeks further development through striking a deal with Dish Network Corporation: to include AMC’s “Walking Dead” and “Mad Men” in Sling TV, its newly launched online video streaming service . AMC has carried numerous programs throughout its 30 years of existence. Amongst its most popular and successful are “Breaking Bad”, “Walking Dead”, and “Mad Men”. The former two of these series have sprung a spinoff off their original plot-lines, in hopes to further continue the series’ monumental success and keep their fan-base after losing “Breaking Bad” after the series has aired . Game changer underdog series “Breaking Bad” has finished its run, ending with 10.3 million viewers and a 5.2 rating within the adults the 18-49 demographic. From its previous season (premiered in 2013), Walter White and Jesse Pinkman have brought in an astonishing 442% increase in viewership within just two years. With this kind of result, AMC released a trial prequel spinoff series “Better Call Saul” earlier this year to extend the popular series further. 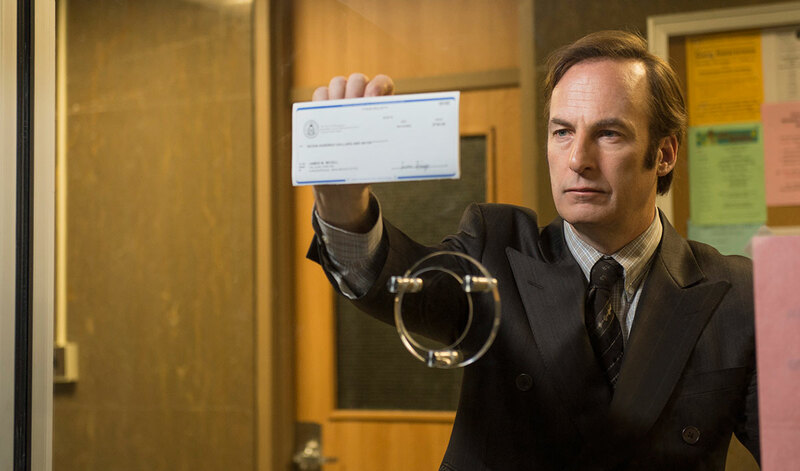 “Saul” wrapped its first season with amazing results, raking in $2.53 million viewers overall, and very positive reviews (Click here to read why people think “Saul” might just be better than “Breaking Bad”). AMC Networks turned their best assets into best revenue generators, working to increase consumption of their most popular series even after it is gone. One of AMC’s most popular cable television shows, “The Walking Dead”, delivered stellar numbers on its season finale. The Season 5 finale episode drew in an averaged rating of 8.2 within the adults 18-49 demographic (and gathering 15.8 million viewers overall). This has been the highest rated season of “The Walking Dead” in this television season. Seeing the previous spinoff “Better Call Saul’s” success, “The Walking Dead” creator, Robert Kirkman, green-lighted another series spinoff “Fear the Walking Dead” to air in Summer 2015. 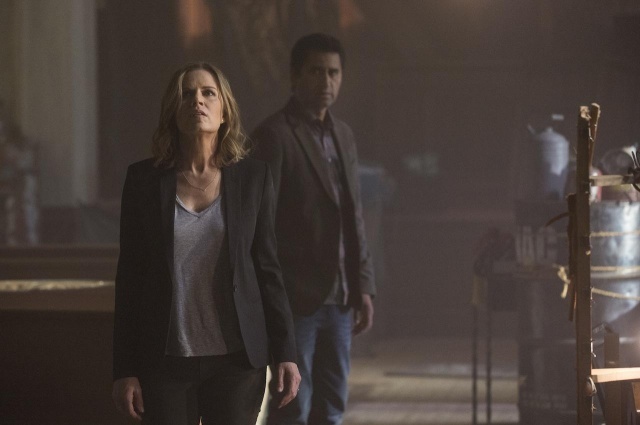 The six-episode prequel mini-series has already created significant anticipation within the “The Walking Dead” fan base, keeping the audience in the loop as they wait for Season 6 of “The Walking Dead” premiering in October. This tactic of releasing spinoffs in order to maintain and possibly increase their audience base is currently working extremely well for AMC Networks Inc. “Better Call Saul” ended its first season strongly, and “Fear the Walking Dead” has generated great potential for its release in the summer. The success of “The Walking Dead” and “Breaking Bad” has been extremely beneficial to the company and creating a prequel/spinoff to the original series was a wise direction to lead to. AMC Networks also houses the growingly popular series “Orphan Black”, and the critically acclaimed, award winning “Mad Men”. Although considered as one of the best dramas in cable, “Mad Men” does not pull as much of an audience as it should . Unfortunately, “Mad Men” was ranked #21 amongst other cable dramas last year . Despite this, AMC Networks announced that the ad spaces on “Mad Men’s” season finale on May 17th have been completely sold out , still indicating the affluence and importance of the show. As AMC Networks Inc. develops, CEO Josh Sapan quotes that international expansion “continues to be a focus” and allowing AMC Networks to “capitalize long term on international pay TV growth and drive long-term value for our shareholders.”  With the acquisition of Chellomedia and BBC America, AMC is now transitioning towards a more global distribution to show it’s content. AMC now is available in 120 countries as well as the Sundance Channel in 70 countries . AMC Networks Inc. has a bright future ahead of its path. Not only is the company busy with its national expansion with series spinoffs, but it is also seeking to expand globally to distribute its contents to the world. Global distribution would only propel AMC Networks’ development forwards and bring the company to the next level of the cable television realm. AMC Network Inc. Logo. Logosandbrands.com, Retrieved April 14th 2015. AMC Network Inc. Website. Amcnetwork.com, Retrieved April 14th 2015. AMC Network Company Profile. Yahoo Finance, Retrieved April 14th 2015. AMC Network Company Information. Hoovers, Retrieved April 14th 2015. AMC Network Executives. Amcnetwork.com, Retrieved April 14th 2015. “AMC Networks Now Covered by Piper Jaffray (AMCX). Dakota Financial News, Retrieved April 14th 2015. “AMC Networks’ Walking Dead Finale Sees Record Closing”. Zacks.com, Retrieved April 14th 2015. “AMC Networks Receives “Hold” Rating from Evercore Partners Inc. (AMCX)”. Mideasttime.com, Retrieved April 14th 2015. “AMC Networks Ad Revenue Jumps on Demand for Original Programming”. Wall Street Journal, Retrieved April 14th 2015. “AMC Networks to Report First Quarter 2015 Results”. Yahoo Finance, Retrieved April 14th 2015. “AMC Networks International Operations Help It To Beat Q4 Earnings Expectations”. Deadline.com, Retrieved April 14th 2015. “Dish Network Rolls Out Sling TV, Reaches Deal With AMC”. Wall Street Journal, Retrieved April 14th 2015. “‘Breaking Bad’ series finale ratings smash all records”. Entertainment Weekly, Retrieved April 16th 2015. “‘The Walking Dead’ Season 5 Finale is Highest Rated Finale in Series History, Garnering 15.8 Million Viewers”. TVByTheNumbers.com, Retrieved April 16th 2015. “Here’s the First Teaser for The Walking Dead Spin-Off”. Vanity Fair, Retrieved April 16th 2015. “AMC’s ‘Walking Dead’ Draws Record Finale Ratings”. Variety.com, Retrieved April 16th 2015. Chellomedia’s Logo. Chellomediapaytv.com, Retrieved April 16th 2015. Better Call Saul Photo. Amcnetworks.com, Retrieved April 17th 2015. Fear the Walking Dead Photo. fansided.com, Retrieved April 17th 2015. “‘Orphan Black’ Season Premiere to Air Across All AMC Networks Channels”. Variety.com, Retrieved April 17th 2015. Orphan Black Season 2 Cast photo. TVLine.com, Retrieved April 17th 2015. Mad Men Cast Photo. pop-break.com, Retrieved April 17th 2015. “‘Mad Men’ brings prestige, if not powerful ratings, to AMC”. CNN Money, Retrieved April 17th 2015. “AMC sells out advertising space for the ‘Mad Men’ series finale”. CNN Money, Retrieved April 17th 2015. “Investors Better Call AMC Networks, Company Is Far From Walking Dead”. Seeking Alpha, Retrieved April 17th 2015. “‘Better Call Saul’: More AMC spin-offs to join ‘Breaking Bad’ prequel” Entertainment Weekly, Retrieved April 17th 2015. NBC Universal Media, LLC . Operating income at Cable Networks decreased 2% to $1.3 billion for the quarter. This decrease occurred due to a decrease at ESPN. This was a result of higher programming costs, production costs, and marketing. Another aspect that contributed to this drop was a lower advertising revenue. These decreases were partially offset by things such as affiliate fee contractual rate increases and an increase in subscribers . On March 12, it was announced that The Disney/ABC group and Yahoo would be expanding their relationship through what they are calling “an extension and expansion” of their three year business deal. Starting on March 16, The Disney/ABC Television group started supplying airtime to Yahoo personalities. In return, Yahoo agreed to promote ABC shows online. They kicked off this expansion with a segment on Good Morning America. The segment was called “Yahoo Your Day” and it offered everyday tips in the fields of style, beauty, health, and diet. In exchange for this air time, Yahoo Screen and Yahoo TV agreed to feature clips from popular Disney/ABC shows such as Jimmy Kimmel Live, Scandal, How to Get Away With Murder, and many others. This deal is expected to prove beneficial to both parties involved and further expand the success that each company brings each other. The addition of more video to Yahoo is expected to benefit the company by bringing in new ways for marketers to display their messages through advertisements. The Disney/ABC Television Group is expected to benefit through the showing of specialized trailers that will appeal to the target audience . On April 1, DISH Network Corporation and The Disney/ABC Television Group announced the availability of live and on-demand programming to DISH Network. This deal was made possible through the options of WATCH ABC, WATCH ABC Family, WATCH Disney Channel, WATCH Disney XD, and WatchESPN. The option to include these live and on-demand capabilities allows DISH’s 14 million customers to access entertainment and sports programming through numerous devices such as laptops, tablets, gaming consoles, etc. Another benefit of these capabilities is the ability to watch ABC and ABC Family television shows the day after they air online at ABC.com . A new platform that provides a new process for ad insertions has been acquired by Verizon from The Disney/ABC Television Group. This new platform is called Translate and allows for digital ad insertion. “By adding Translate to our Video Lifecycle Solution, we not only raise the bar for best-in-class capabilities, we tap the potential of the broadcaster of tomorrow.” – Bob Toohey (president of Verizon Digital Media Services). Translate is a step forward that brings improvement to the way that ads are inserted and allows for the replacement of linear ads with digitally inserted ads that are specified to different target audiences, making advertising more relevant to the interests of different individuals . Translate also allows viewers to create their own replacement rules for restricted program content, providing an easy way for broadcasters to make sure the right audience it receiving the right content at the right time . “As TV viewing habits change at whirlwind speeds, Verizon Digital Media Services gives Disney/ABC Television Group a next-generation video platform that provides a world-class viewing experience.” – Vince Roberts (chief technology officer and executive vice president of global operations for Disney/ABC Television Group) . A new announcement was just made on April 16th that brings the Disney Channel to Canada. Corus Entertainment Inc., a leading media and entertainment company in Canada, just announced that Disney Channel’s content will be available in Canada in both English and French. Through a multi-year licensing agreement with Disney/ABC Television Group, Corus has acquired the rights to Disney Channel’s content starting on September 1, 2015. Another part of the multi-year deal includes simultaneous streaming and video-on-demand rights for certain programs. With this capability, the Canadian Disney Channel allows fans to watch shows at their convenience and brings them ad-supported video. “With an extensive roster of exceptional content to tap into, we look forward to delivering the full Disney Channel experience to families across the country. This deal underscores our commitment to provide Canadians with the highest quality content from around the world and reinforces our position as Canada’s market leader in kids and family-focused offerings.” – Doug Murphy (President and Chief Executive Officer of Corus Entertainment) . Bringing Disney Channel and all of its content to Canada is expected to yield great benefit and profit to both Disney/ABC Television Group as well as Corus Entertainment. Disney channel is the top-performing destination for kids aged six to fourteen in the United States and with the network reaching over 96 million U.S. homes in the United States, statistics of the same caliber are expected to reach Canada . Albert Cheng, executive vice president and chief product officer of digital media has announced that he is stepping down. He has controlled Disney/ABC Television’s digital initiatives for more than a decade and now feels that he has achieved his goals and it is time to step down. One of the biggest goals he achieved was making the group’s programming available on numerous digital platforms. He stepped into the business before video streaming was a huge deal and is stepping down at a time where digital distribution has changed the television world. “Through the strategic and diligent work done by (Cheng) and the talented digital media team, Disney/ABC has evolved itself from a traditional television business into a vibrant, fully integrated, future-focused company with a digital-first mindset and a reputation for smart and bold risk-taking.” – Ben Sherwood (President of Disney/ABC Group) . A full list of SNI executives may be found here . Founded as the successful newspaper company known as The Penny Press by E.W. Scripps in 1875, the company has turned into a leading network for lifestyle media. After launching HGTV in 1994 and the Food Network in 1997, the company evolved into what is now known as the Scripps Network Interactive. With platforms such as cable television, digital, mobile and publishing, SNI continues to expand their six main lifestyle brands: HGTV, Food Network, The Cooking Channel, Travel Channel, DIY Network and Great American Country . As the first addition to SNI, Home and Home and Garden Television (HGTV) represents the ultimate binge-watching cable channel. According to recent reportings, HGTV dominates the market in holding the #1 most ad receptive audience in cable, #1 channel inspiring viewers to purchase and #1 channel in captivating one of the most upscale audiences in cable . SNI President of National Ad Sales & Marketing Jon Steinlauf explained, “HGTV is arguably the hottest network in the country right now on year-to-year growth.” A new goal for HGTV is to expand their audience base beyond women. By inviting men into the network, they’re up 34% in viewership and have also added more male hosts to their shows, and made shows concentrate more on the financial aspects of projects. As SNI prepares for fall, they’ve announced renewals of the popular shows House Hunters Renovation, Lakefront Bargain Hunt, Island Hunters and Tiny House Hunters . Although critics remain skeptical as to whether the Food Network is remaining profitable, recent calculations have shown that viewership peaked over the past year in November with 8.5 million viewers, while now the channel is at a low with only 6 million viewers. The Food Network recently announced that Aarti Sequeria was signed to a new series: 10 Minute Meals with Aarti Sequeria . In addition, the media brand is attempting to cater to more kids and families by renewing popular shows such as Chopped Teen, Guys Grocery Games Family Tournament, Rachael Ray’s Kids Cook Off and Kids Baking Championship . In 2014, The Cooking Channel saw it’s best year yet, proving to be an up-and-coming brand at SNI. The brand saw a ratings increase of 17% among ages 25-54 . Successful shows such as Mo Rocca’s My Grandmother’s Ravioli, Extra Virgin and Real Girl’s Kitchen only helped skyrocket The Cooking Channel to be a larger content generator to SNI. In February, The Cooking Channel acquired Avec Eric, a high-rated cooking show featuring world-renowned chef Eric Ripert . In addition, the brand announced that the new cooking show with Tia Mowry, Tia Mowry at Home will debut on April 29th . In an interest to generate more viewership, the DIY Network has renewed five popular series for the upcoming fall such as The Vanilla Ice Project, Kitchen Crashers, Barnwood Builders, Sledgehammer and Yard Crashers . DIY Network also announced that performer, actor and comedian Jim Belushi will be coming to the network in his new show, Building Belushi. In the six-episode series, Belushi will be followed as he builds a riverfront retreat cabin in Oregon . The Travel Channel proves to be less robust in content, as not as many new shows have debuted this year. The new series, Breaking Borders premiered March 15th, as journalists and food lovers sat down to gather all sides of a conflict for a real conversation at the dinner table . The Travel Channel also announced their big network event and sweepstakes known as “The Trip” in January, where viewers could enter to win a trip to the islands of Oahu, Maui, Kuaui, Lanai and Hawaii . Great American Country has experienced similar challenges to the Travel Channel, as the brand has somewhat stunted in producing new content. Premiered on January 17th, actress Betty White profiled Smartest Animals in America . In addition, the brand introduced the show, A Very Barry Branson on February 5th in which Barry Williams (The Brady Bunch) revives a 1970s musical variety show . After recently naming Jon Steinlauf as President of National Ad Sales & Marketing at SNI in February, the company is hoping to get a revamped marketing plan. Says former predecessor Jon Gigliotti, “Jon has been integral to establishing Scripps Networks’ lifestyle brands as essential for advertisers looking to reach an upscale audience…He inspires and motivates the incredible teams who work for him, and his leadership has been instrumental in helping the company deliver a series of $1 billion upfronts” . Steinlauf explained that SNI has continued to maintain a great Return on Relationships, meaning the return a company gets on immersing brands inside content. SNI offers to sell marketers commercial that will run within the same three minute interval on all channels and websites. This tactic has allowed the company to increase 21% in net income from $109 million in 2013 to $132 million in 2014 . In addition, revenues have increased by 2.3% to $699 million in the past year while ad revenues are only marginally rising by 0.7% to $454 million in the past year. The Scripps Network Interactive recently launched a plan to grow the U.S. based company into a significantly more global network. After purchasing 53% ownership of the Polish content Producer, TVN, SNI amounted in $1.5 billion in cash and assumed debt . From this expansion, the company is expecting international sales to make up 25% of the total revenue (representing an eight-fold increase from the previous year) . Currently, Food Network and HGTV reach an estimated 200 million homes around the world and 180 countries worldwide. SNI reports that the acquisition of TVN only represented a “key pillar” in their strategy for global expansion . In addition to European expansions, SNI also announced plans to expand their brands in Latin America. As of the beginning of April, Food Network was launched with DIRECTV reaching more than 6 million viewers across the region of Brazil . Not only will the Food Network be broadcast in Standard Definition, but also in High Definition. Jim Samples, the President of Scripps Network International stated, “Expanding Food Network’s distribution in Latin America is a testament to Scripps Networks’ commitment to expanding the company’s regional footprint and to building scale for our international division.”  With stronger footholds in Europe and South America than ever before, SNI is now setting their sights on Asia in the hopes of increasing their presence in homes there.